Join us for our monthly potluck dinner, which starts at 8pm in the kitchen, and then around 9:30 we’ll head to the gallery for artist presentations. Fluxer Jaime Iglehart will present her most recent film, a post-apocalyptic slapstick video: Bodega Chips. Current Flux Artist-in-Residence Theodoros Stamatogiannis will discuss his body of work. Eric Bowman will give a demonstration of the wet plate collodion photographic process by making his own film (from scratch) on a glass plate, shooting the photograph with his camera from the 1870s, and developing the image all within the span of 15 minutes. 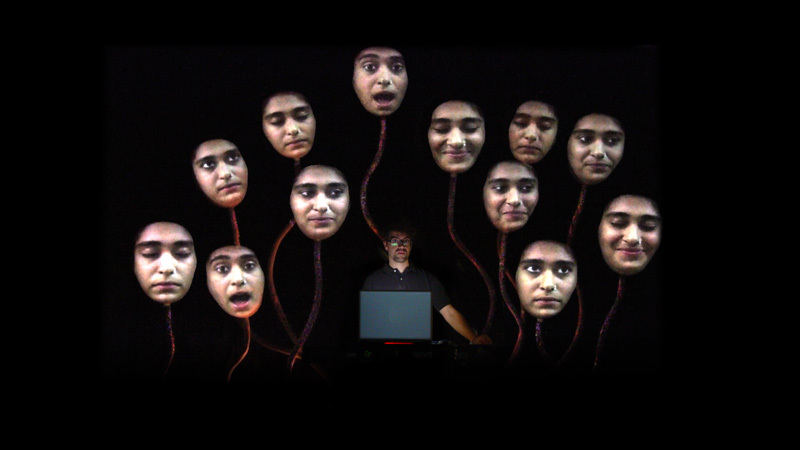 Mark Bolotin will talk about making his strange new multimedia work, The Lumiphonic Creature Choir, a giant twelve-headed audio-visual creature that will come alive, sing, and recite prose. Alan Webber of The Rural Route Film Festival will present two exclusive short films: Compound Eyes #1 & Painting John.